This sample of Sales Engineer interview questions will help you evaluate candidates’ skills during the hiring process. Feel free to add or tweak questions to meet your specific job duties. Sales Engineers coordinate with the sales team to provide technical support to clients. This role requires an engineering background with the ability to explain technical details in simple terms. These individuals also explain how products can solve clients’ problems. For this role, employees need to have a deep understanding of the product to be able to present its benefits to a non-technical audience. Keep an eye out for candidates with experience delivering presentations or interacting with customers. Ideal hires are problem solvers who proactively address client needs. Depending on the company, Sales Engineers usually need to collaborate with different employees, like Engineers and Product Managers. 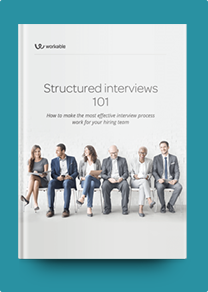 Use these interview questions to evaluate how candidates work with teams and decide whether they would be a good fit for your company. How would you proceed if a client faced a technical issue but none of your suggestions work? How would you explain the benefits of using [X] product over a competitor’s service? A key potential client requests a feature we don’t currently offer. Who do you contact about it and how do you respond to the prospective client? Your manager sets a goal that you think is unrealistic. How do you respond to it? What’s a typical sales call like for a Sales Engineer? What do you know about our products? Who do you think are our customers? What software have you found useful for your job? Why, and how? What’s experience do you have with remote access software? What’s you’re biggest lead-generating success? How did you get the lead? How do you ensure your audience understands complex technical terms? What’s the biggest challenge you’ve faced in communicating technical details? How did you overcome it? What inspires you to be good at your job? Describe a successful sales project you worked on. Who did you work with and what was your specific contribution?